Learn how to look put together and get dressed faster every single day! Use this formula for never thinking about what you should wear again. Not only can you get out the door faster in the morning, but you’ll look forward to mornings again! Let’s be very clear, I am not a fashionista. I can’t keep up with my favorite TV shows, let alone what’s in style for clothing. It’s something that I’ve been really bad about for the past several years. I used to buy clothes because they were on sale and the rack said they were in-season, but I never knew how I could actually wear them. So they stayed in my closet, never worn. Or there were numerous times where I didn’t I love my post-baby (I mean, he’s almost 4 years old!) body enough to make the effort. Anyone else feeling in a mom rut? 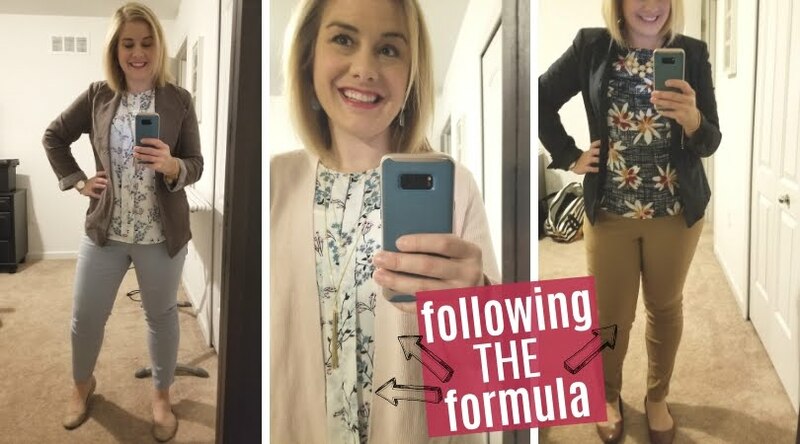 Please ignore my poor selfie skills, but you know I wanted to share exactly how I look put together every day and how I get dressed faster in the mornings! Related: 9 Surefire Ways to Wake Up Earlier! 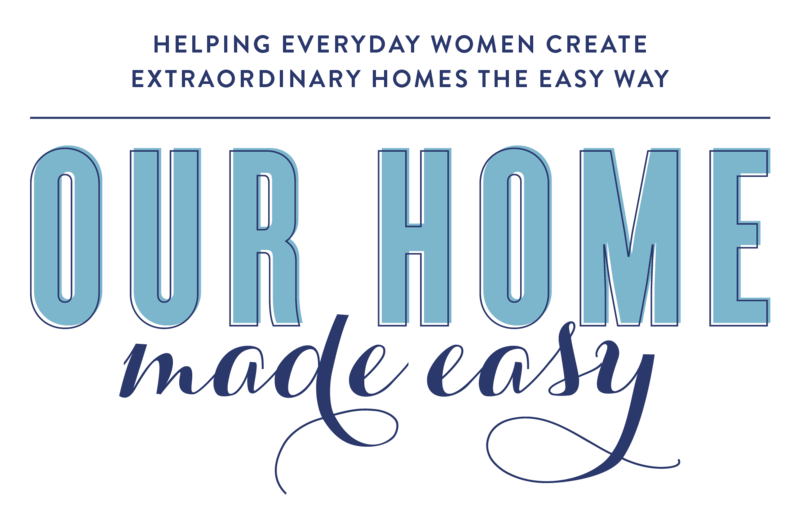 If you’ve been reading Our Home Made Easy for a while, you know that we are more than just the stuff in your home. 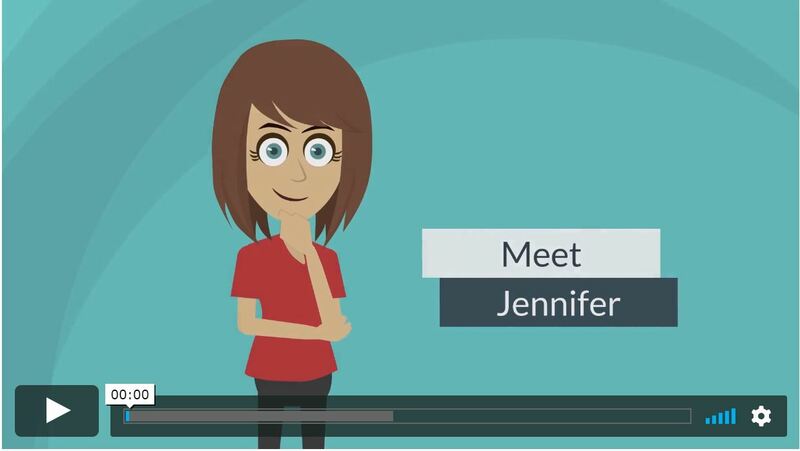 We are about making your life easier to manage. We are here to serve you creating your own extraordinary home. And that includes you, too. Do you get frustrated standing in front of your closet every day? Over a year ago, I was feeling a little hopeless about clothes, and why it should even matter anymore. I was 32, a mom of 2, working my behind off at work. It didn’t matter. But it really did matter to my well-being, I just didn’t realize it. 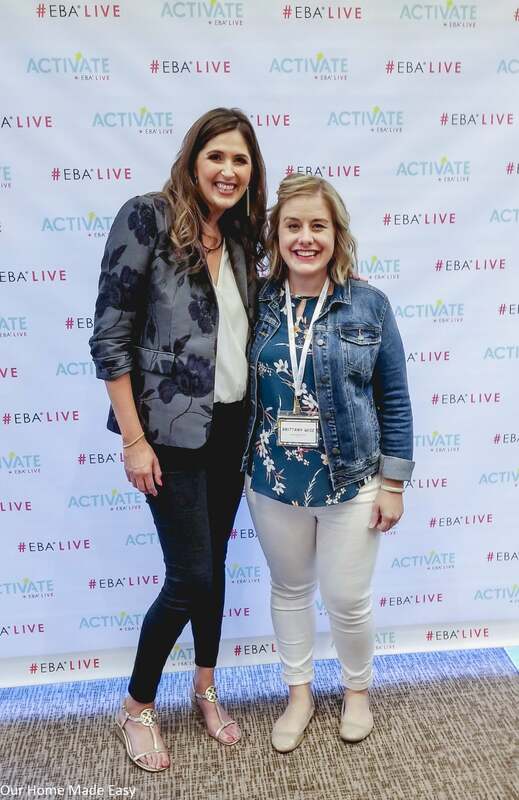 After mom-ing it up for so many years, caught in the busy-ness of everyday life, I lost the joy in choosing an outfit for the day. I wasn’t feeling confident about how I presented myself. And I needed some help re-capturing that joy. So I did something completely un-Brittany like. It’s the easiest way to rebuild your wardrobe and always be on top of seasonal trends. It’s called a ‘challenge’ because you’re challenged to get out of your comfort zone and try new styles. Members include women of every age and stage of life. Most of the women are between the ages of 35-65 in all beautiful sizes from petite 0 to plus. 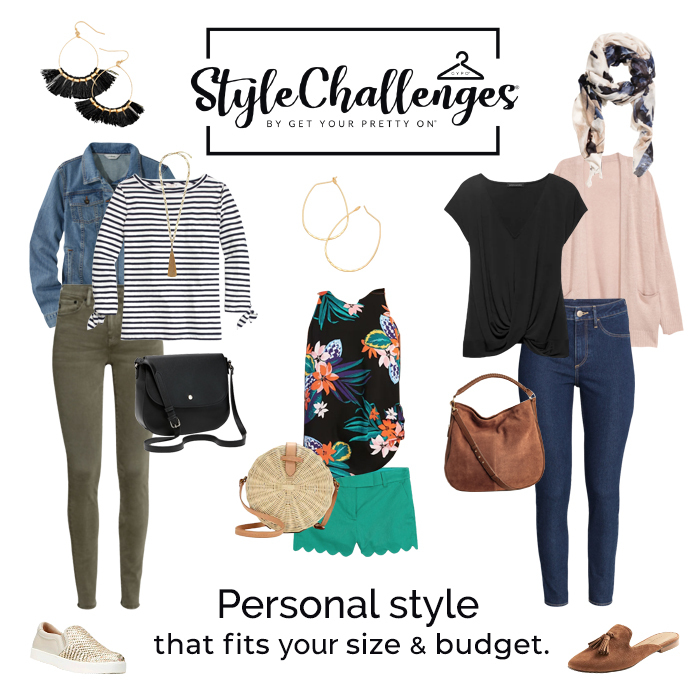 You don’t have to be wealthy to have your own personal stylist, the Style Challenge is at a price point that anyone can afford. Whether you’ve forgotten what pretty feels like, are ready to rediscover your style or just want looking put together to be a little easier, you’re at the right place! You can register for the latest Style Challenges for just $39 here. 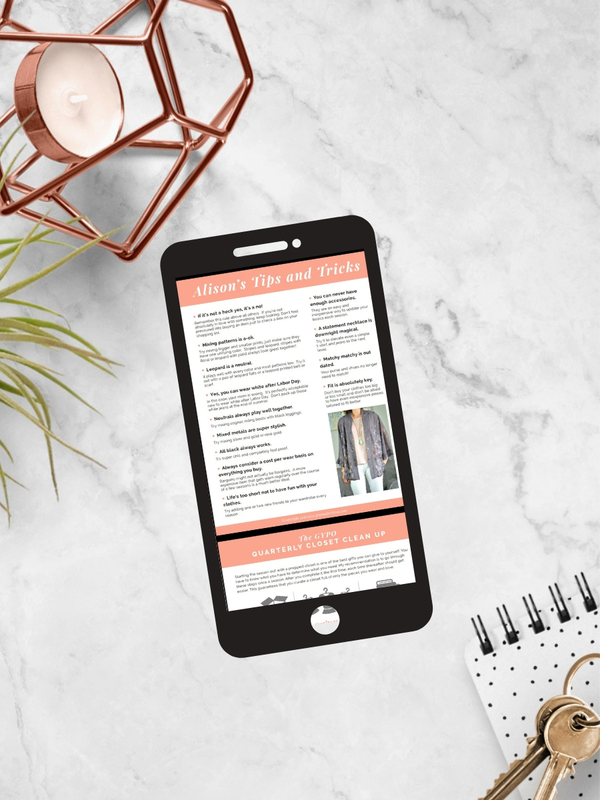 In addition to hosting Style Challenges, I downloaded a copy of Alison’s Big Book of Outfit Formulas. Inside the book, she has more than 300 outfit combinations for any woman. You simply follow a formula each day to build your outfit. And it’s been so inspiring! The Big Book has more than 2 year’s worth of Style Challenges for you to use for outfit direction. Inside each day, Alison offers advice on how to dress up an outfit for work or dress down an outfit for the weekend. It’s easy-peasy. A+B+C= An well put together look. These days I am receiving compliments on how put together I always look. One nurse told me last week that she liked finding me every day to see what kind of outfit I was wearing. Dramatic, I know, but really, when you enjoy something at 6 am in the morning, it makes you feel confident all day long. 12 months later, I am still referring to the Big Book on my phone at least 3 times a week! The other days– it’s second nature. But sometimes I want to try something new. 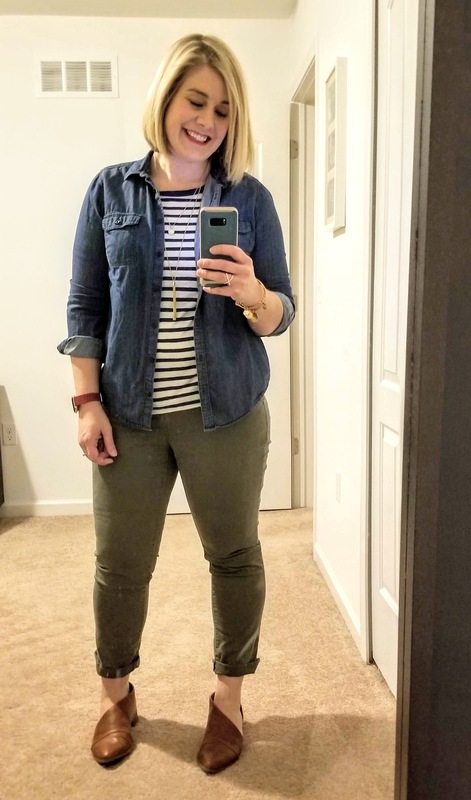 So let’s talk about Stitch Fix. Style Challenges are not fixes. Stitch Fix sends you a selection of items. Style Challenges gives you an outfit for each day. It’s up to you to gather the clothes ahead of time. And yes you can love both! But you may not necessarily need your fixes in the challenge! For the Style Challenges, you’ll receive a “recipe card” of clothes 2-3 weeks before the challenge starts. Alison encourages you to shop your closet first. Then she encourages you to check out local thrift shops, Target, Old Navy, or Nordstrom Rack. And each style challenge has basic pieces that overlap each season. 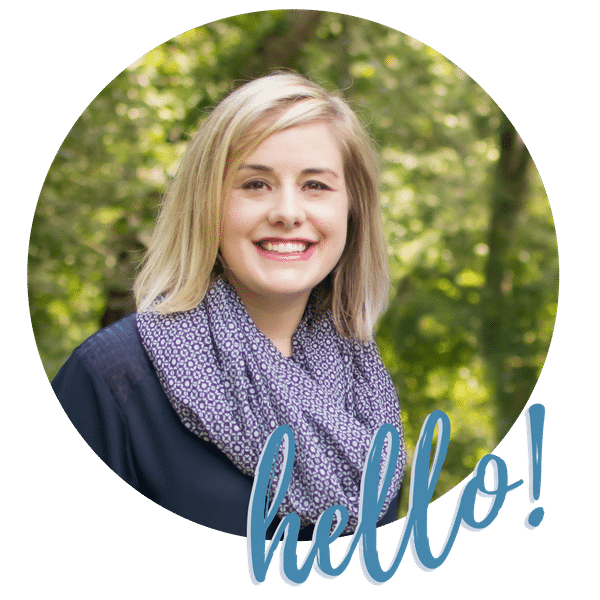 Alison encourages us to buy higher quality closet staples that will last more than a year, but your budget is in your control. And that’s what I really liked about my first challenge! 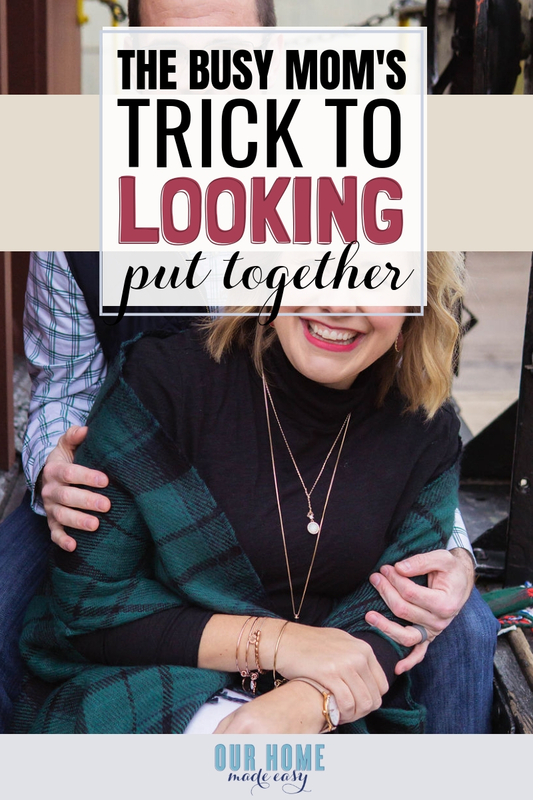 It was like a fun scavenger hunt to find everything ahead of time and do it as inexpensively as possible! Using Alison’s formula, I threw together everyone’s outfits in about 35 minutes at the mall the afternoon before this photo was taken. 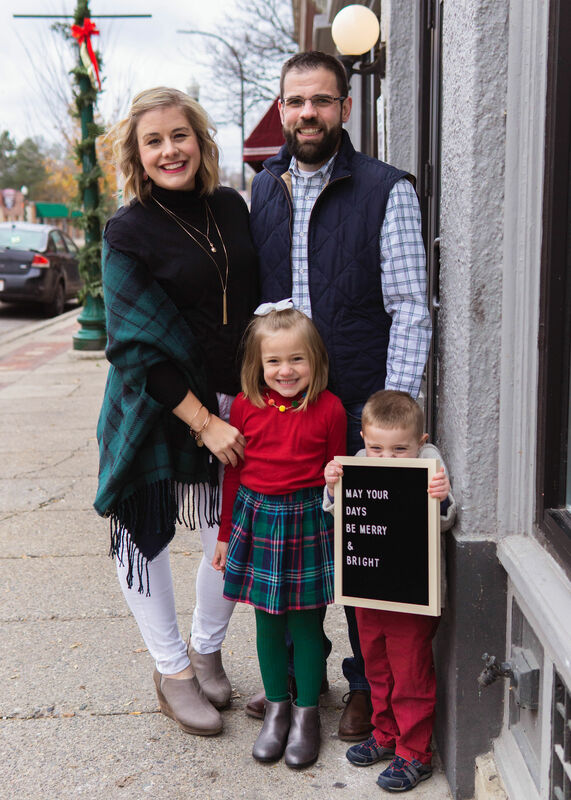 It was zero stress– big hint::: I started with me, then Aubrey… and then those cute guys! Because it gives you an instant direction. I don’t know about you, but the mornings are already full of me telling little people what to do and what not to do. The last thing I care to do is stare at my closet for several minutes. I’m not wasting time wondering through my clothes in the mornings. The GYPO community for the style challenges was something I wasn’t expecting! When you join each Style Challenge, you’ll join that challenge’s pop-up Facebook group. Inside the group, you can share deals & steals for items in the challenge. You can ask questions about which of your finds looks better. What’s better than getting nice suggestions on what would look best on you? It’s encouraging. And some days are plain hard. You deserve a smile every day. Imagine having something to look forward to doing at the start of your day, every day! 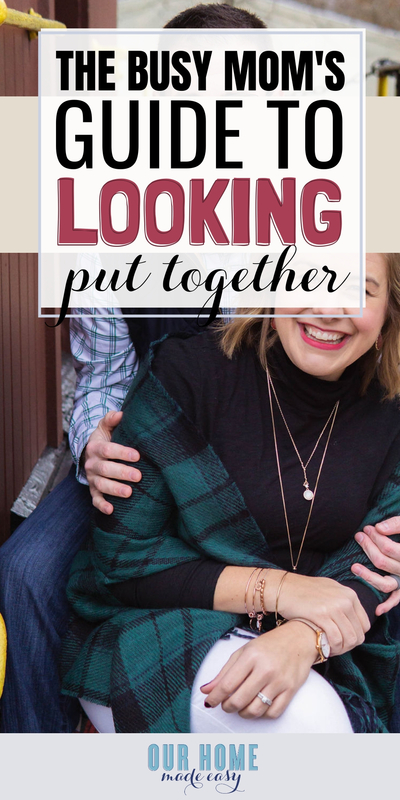 What Would it mean to you to look put together? 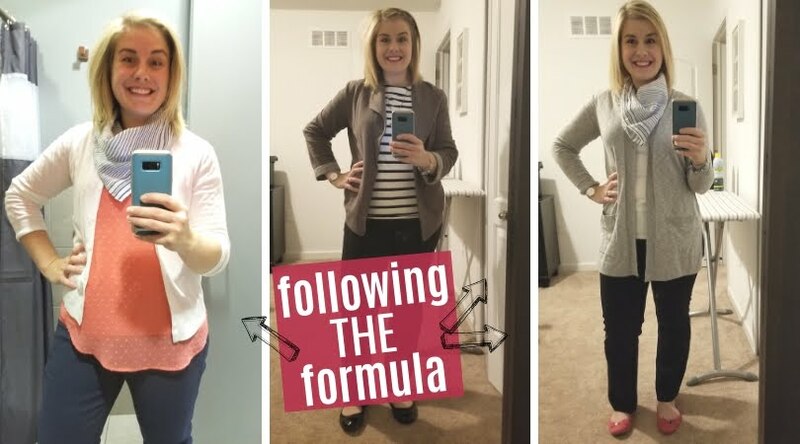 You could have this whole community of fellow busy women encouraging your new outfits! Not only will you feel great, but you have a little extra bounce in your step when you’re getting dressed. I still can’t believe that I posed in front of a mirror and took selfies over the course of a year, but I really wanted to show you how awesome Style Challenges are! I promise it’s a really fun experience to do. Whether you are running out the door to drop-offs or work, you can still look put together without much effort! Start today by signing up for your first Style Challenge. You’ll thank yourself tomorrow! Getting dressed faster has never been easier using the GYPO formula!